From the first generation of shoes and boots, zipper boots are fancy and stylish. The trend has been intact till date as men and women across the world love wearing footwear with zipper. Many abandon footwear due to damaged zipper and never reuse them not knowing there are professional zipper services offered to fix them as new. We fix zipper in footwear, jackets, bags, clothings, etc. We are a team of experts who have been offering the services for many decades in NYC. We fix your zippers without damaging your product as we care a lot for them. We host a team of proficient workers that have laid hands on professional service that lasts long. Alterations are done here with great accuracy. Knowing how to fix a stuck zipper on boots might help you to wear it again but it is necessary to ensure it doesn’t happen again. So to ensure, its necessary you get professional and experienced pair of hands to work on them. We have the latest tools and machines that help us to fix them accurately without causing any errors. 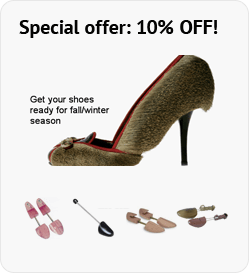 At our elegant shoe repair services, we repair and service any kind of zippers in boots, bags, clothing, jackets, etc. Services are offered for all products irrespective of their brands. With professional and experienced hands working on your damaged zipper, there are no chances for it to wear out again. We ensure our customers are satisfied with our services and do our best to ensure we give them the best. It is naturally for zippers to wear out and not work in time and not may know how to fix them. How to replace a jacket zipper slider, It is a common problem we face once in a while with our jacket zippers. At our elegant repair services, we use the best tools and solvents to repair your zipper with perfection. We ensure the repaired zipper last for a very long time without any damages or rust. Our services are highly preferred for decades by the residents of NYC and every customer is a happy customer.